It’s not often that you see a Ural side car roaming the streets. They’re elusive, unique & incredibly jaw-dropping when one decides to cross paths with you. Though they are growing in numbers across the world, there are still a few models that come out from time-to-time that will set you apart from the rest. 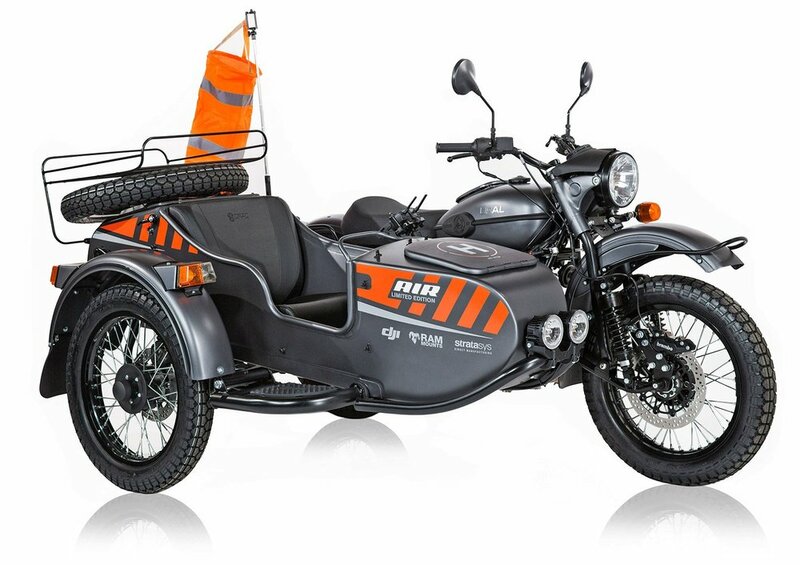 Every once in blue moon, Ural offers special edition versions of their motorcycle/sidecar rigs . A special edition may be something as small a change from stock as the color of the engine or it may be an entire special options package. These guys and gals are passionate about their motorcycles and the people who own and ride them, that passion shows at times in small-batch production runs! Above: The 2018 Ural Gear Up Air Limited has it’s own drown piloted by your co-pilot. Limited Edition versions of both the single and 2 wheel drive models are available from time to time, if you see something you like do not think on it for too long as they sell out fast and are usually limited to runs of about 25 bikes! Deposit is of course required to secure your place in line and delivery on special editions can take as little as 10 days or as long as a few months, you can get a fairly exact delivery date prior to dropping that deposit! *Most models here are used only for representation of prior Limited Edition Models. See any current offerings here.